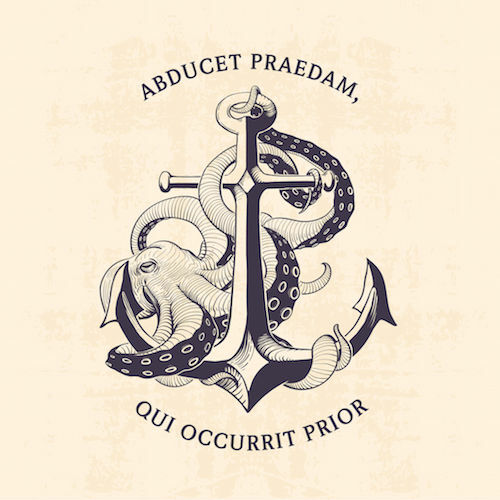 Historically, the octopus, or squid, has been seen as a symbol of intelligence, the ability to achieve more and regeneration. It is a popular tattoo subject because of the array of ways it can be portrayed. True to its chameleon qualities it can be portrayed in nearly any color and can be true to life or a more artistic depiction. 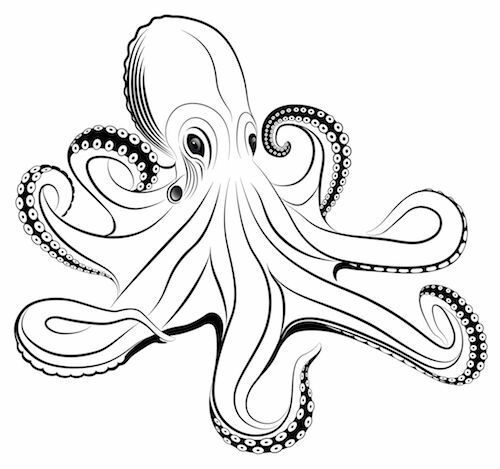 The octopus tattoo is also referred to as the squid tattoo. The two are virtually interchangeable. It has eight sprawling tentacles and a large bulbous body with distinctive eyes. However, the exact depiction of this mysterious creature varies greatly. 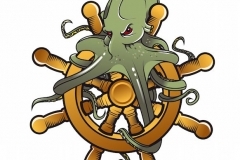 While all are recognizable as an octopus or squid, no two designs are alike. Colors range from blues and grays to gorgeous shades of red, purple, orange or green. While many octopus tattoos are bi-colored, some are black and white while others contain a rainbow of colors worked throughout the design. 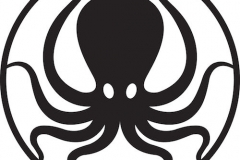 What does the Octopus Tattoo Mean? 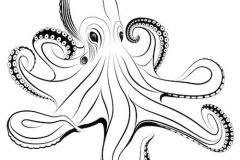 Octopus tattoos may be symbolic, but they may also be artistic expressions worn for their beauty. In most cases, they are both. 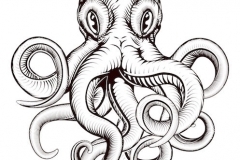 Here are some common themes used in octopus tattoos. 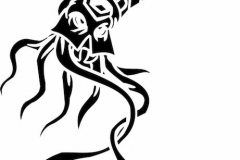 Fantasy: Octopus tattoos lend themselves well to fantasy themes. When done in rich blues and purples, they may represent mystery or magic. These octopus tattoos may appear light and friendly, typical of a children’s rendition of these elusive creatures. Fantasy tattoos represent mystery, imagination, magic and spiritual growth. 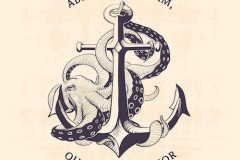 Realistic: Realistic octopus tattoos may appeal to nature lovers and may be added to nautical tattoos. They may be worn for their beauty or to symbolize the importance of all life. Realistic octopus tattoos are often depicted peacefully floating in gentle waves or wrapping tentacles playfully around other objects. 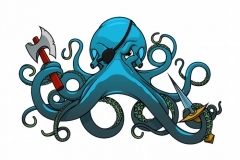 Blue Ringed Octopus Tattoo: This popular tattoo features a very small and powerful octopus that is able to kill humans. 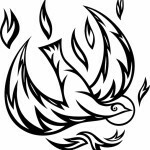 It symbolizes that you are ready and willing to strike at any time, regardless of your small size or appearance. Japanese Octopus Tattoo: This tattoo is often referred to as the Japanese squid tattoo and features blues and purples with a other colors to highlight the image. Symbolism of the colors used is often an important part of the message. It may be combined with other popular Japanese symbols, such as the lily. 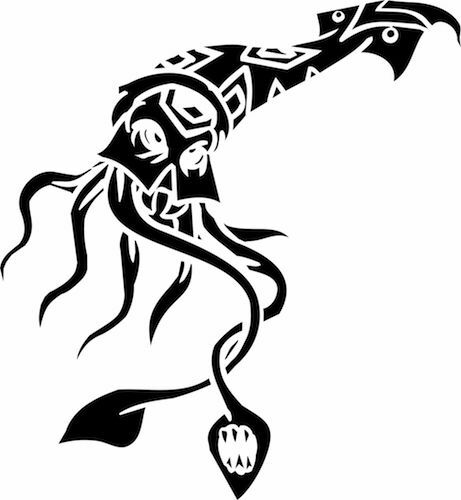 Elephant Octopus Tattoo: This creative tattoo combines the head of an elephant with a trunk that transforms into one of its eight tentacles. This animal hybrid takes on characteristics of both the elephant and the octopus and is symbolic of undiscovered mysterious and ancient wisdom. 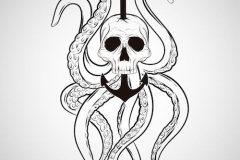 Octopus Skull Tattoo: Like the Elephant Octopus Tattoo, the skull-octopus tattoo combines two popular images to create a hybrid image. 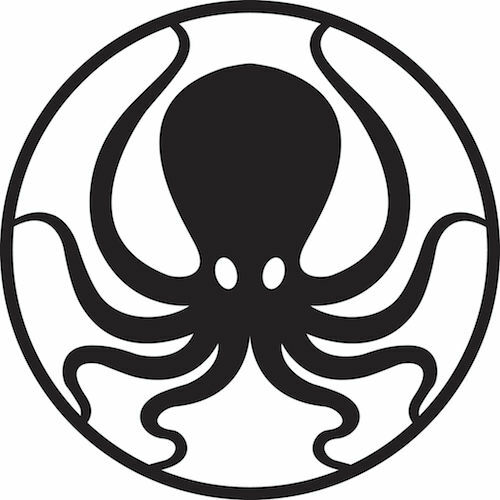 It is typically depicted in black and white with the skull forming the head and body of the octopus and tentacles protruding from the skull. Octopus tattoos need room for the tentacles to spread and reach out to other areas of the body. A small octopus tattoo can be place on the wrist or ankle allowing the tentacles to climb the calf or arm, but they are commonly placed on the shoulder or lower back to allow room for the tentacles to spread to the chest or back. They may be placed in any area, but pay close attention to how the sprawling or twining tentacles will look. For a cute octopus tattoo, consider a tiny tattoo on the finger with tentacles climbing across the back of your hand. They can also be worn as a sleeve. The message the octopus tattoo conveys depends on the artistic interpretation and the colors used. 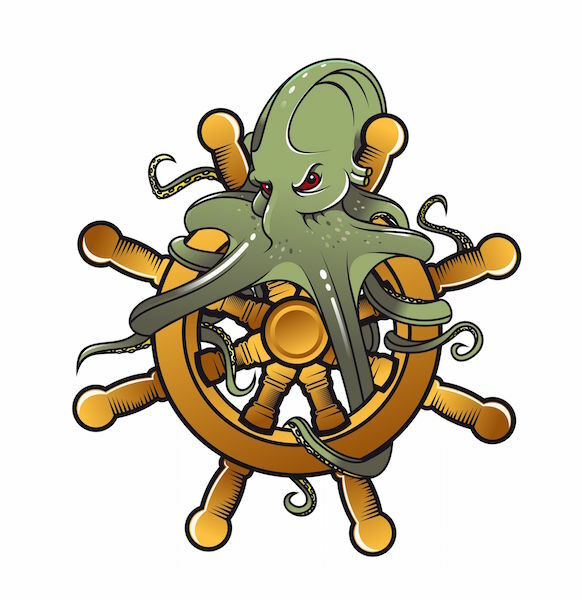 Typically, the octopus portrays mystery, imagination, intelligence and perseverance, but this can vary depending on the colors used and the other images in the tattoo. 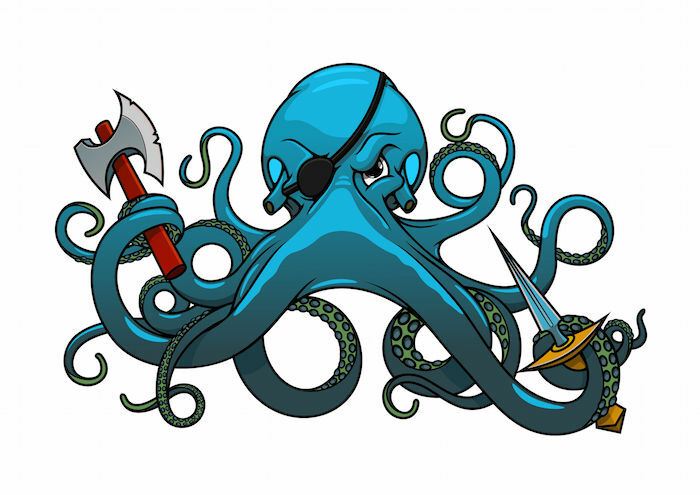 Both men and women wear octopus tattoos. 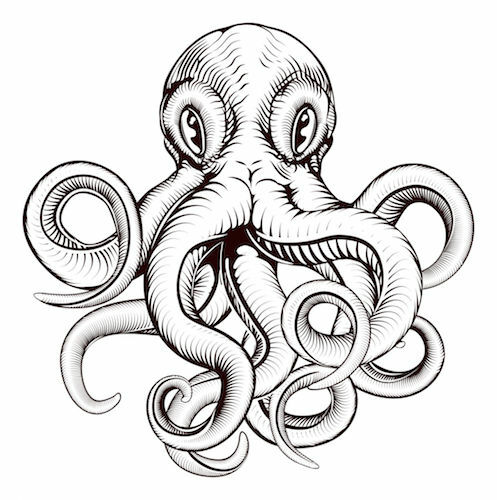 As a rule, octopus tattoos on men are likely to represent the ability to overcome obstacles or fierceness. 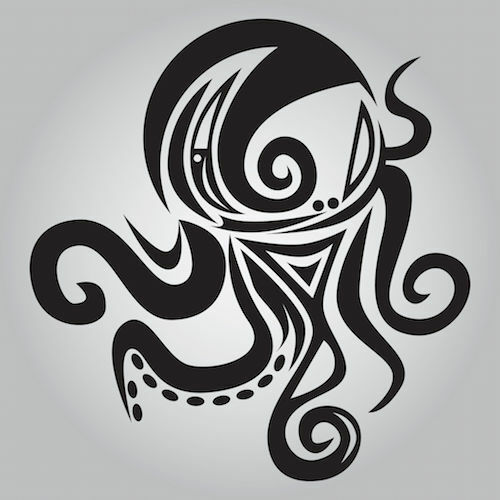 Women’s octopus tattoos are likely to represent imagination, creativity, mystery and/or intelligence. 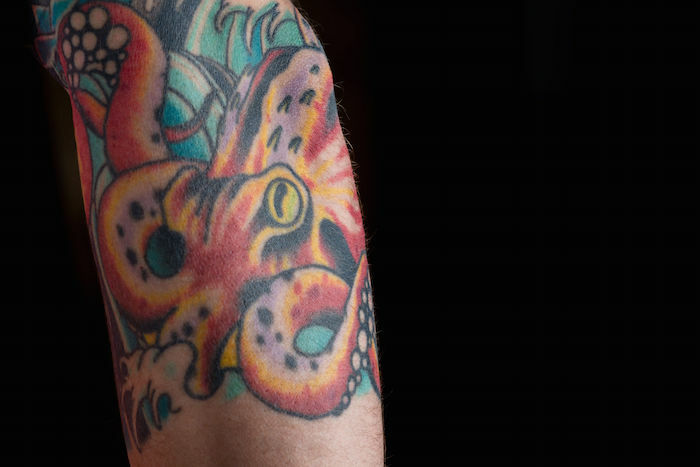 For some the octopus tattoo is worn for its beauty and not for symbolic reasons. 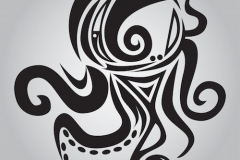 If you find the octopus appealing and are intrigued by the mysterious way he changes colors to avoid enemies or can suddenly disappear in a cloud of dark ink, an octopus tattoo may be for you. 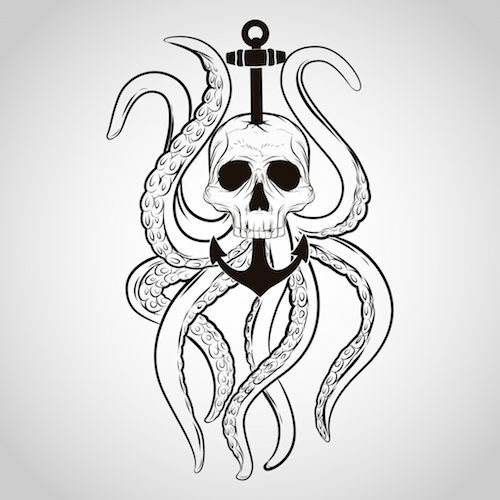 Likewise, if you choose to wear a reminder of your ability to meet and overcome obstacles or simply want to add mystery and intrigue to your persona, an octopus tattoo just may do the trick.